This selection of classic German bike books cover general German classic motorcycles, the history and development of the German motorcycle industry, German makes and models. 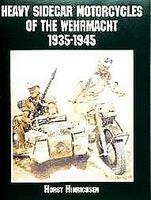 German Military Motorcycles In The Reichswehr And Wehrmacht 1934-1945 by Horst Hinrichsen (1997). This volume of photographs provides a documentation of the many motorcycle riders and their various cycles between 1934 and 1945. Along with action pictures showing Wehrmacht motorcycles, this volume also includes, in particular, many photos of requisitioned machines. Motorcycles Of The Wehrmacht: A Photo Chronicle by Horst Hinrichsen (1994) offers a fascinating insight into the everyday wartime life of German motorcycle messengers and riflemen. Heavy Sidecar Motorcycles Of The Wehrmacht by Horst Hinrichsen (2000). A photo collection covering BMW, Zundapp, NSU, DKW sidecar motorcycles on a variety of war fronts. German Motorcycles In World War II: BMW, DKW, NSU, Triumph, Viktoria, Zundapp by Stefan Knittel (1990) covers the different types and variations of German motorcycles used in WWII. German Motorcycles World War II by Tony Oliver (1978). A well-illustrated pictorial study of German motorccyles during the war, with over 100 photos drawn from the author's personal collection. The latter half of the book focusses on the unique Kettenkraftrad. Classic German Racing Motorcycles by Mick Walker (1991). German motorcycle manufacturers have always used competition as a certain method of improving their machines and market penetration. 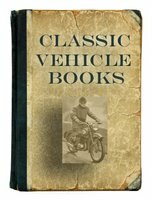 The author describes the famous as well as the more obscure characters, motorcycles and marques which battled to project Germany to the forefront of the field. 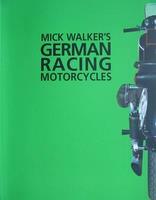 German Motorcycles: Road And Racing Bikes by Mick Walker (1989). All the principle and many of the lesser known manufacturers and their models get the full treatment. The German Motorcycle Industry Since 1938 (1946) British Intelligence Objectives Sub-Committee, Field Information Agency, Technical United States Group Control Council for Germany, Final Report No. 654.